Discussion in 'Electronics' started by roheel, Aug 20, 2017. Something odd has happened to the glove box CD changers. I have no lights and when I press a button on the changer the Audio 20 unit just sits on please wait. If I press the CDC button on the Audio 20 unit, it says CD 4 Track 6 which was the last thing that I was listening to you this morning. Any ideas? Try the simplest thing first: remove the shelf with the CDC, unplug both the power connector and the MOST one (fibre optic) - be careful not to bend the latter, check if it's clean, and the red light shows, and plug it back. Personally, mine never gave my any trouble, but I read on BenzWorld it helped someone with a similar problem. nevr had issues with it before. Always worked like a dream! Car is going in for service next month and is still under warranty so will mention then if i cant get it to work. I did try pulling the fuse for the changer last night from the driver footwell for a min and that didnt make a difference. How easy is it to get to the back of the changer? Also how you getting on with the new unit you bought? The entire shelf, with the CD changer attached, is removed by simply pulling it out (but do not yank it - just apply a steady force). However, you need to push the bottom on left side in first - you'll hear it unclip. Also, do not try to remove the rubber mat on top - there's no fixing lugs / screws under it, but its rubber rivets are easily torn - I didn't know that and lost one - the mat is now held in place by 3M tape, in addition to the two remaining legs/rivets. The CDC is fixed to the shelf by four T20 screws. There's enough slack to pull both the electric and fibre optic harnesses safely out to reach the plugs, without removing the changer itself. The new head unit, so far, has been great: looks nice, pretty intuitive controls; everything works on the steering wheel - there's no "cross-contamination", when the volume would be affected, if you're not in the music playback menu and touch ± buttons (older units suffered from this); the octa-core CPU is fast; runs cold - the fact that it's half size (behind the screen) helps I'm sure; the instrument cluster displays even more info it used to for CDC - i.e. disc number (SD) and the track number, but now also a min:sec counter; satnav works surprisingly well, with a really quick fix, and I can get used to the interface, although I'm still planning to use my standalone Garmin most of the time - I have a fixed, hard-wired stand for it on the dash. I'm going to play with some settings, etc this week - reversing cam guide lines (there's a choice); side mirror cam activation - to see if I can assign a steering wheel button, rather than touching an icon on the screen (which is not terribly taxing anyway), startup Mercedes logo, etc. so if i took my audio 20 out and just put this new unit in, do i need to do anything else or is it plug and play with the dash display and steering controls? Pretty much - the only thing I needed to change is the pins for the AUX input in the quadlock - they were in the wrong place for my Audio 20: mine is socket 3, pins 6,11,12 - they had it for the socket 4 (only used for Japan) - so I removed them completely, and connected my AUX to the unit directly. The socket was about £7 from eBay, and has a plug, so easy to disconnect, when removing the power tray (something often overlooked, when doing mods - new wiring must not hinder disassembly). 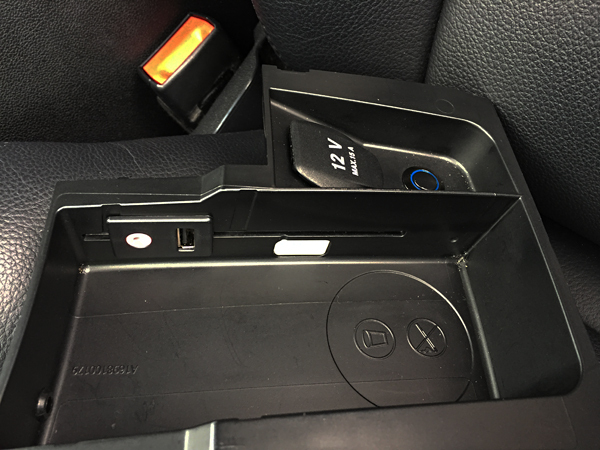 I decided not to go into the trouble of dismantling the entire armrest and centre console, to terminate a USB port there, and just replaced the sliding out phone holder with the brand new OE storage box.